a management portal, and a suite of integrations. Need a FREE canvassing app? Our platform is battle-tested on the ground in multiple cities and states, used to knock on thousands of doors in the toughest conditions. Engage! 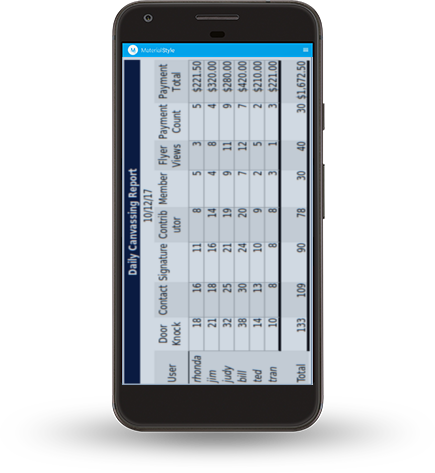 is a canvassing platform that includes a mobile tablet, customized app, a management portal, and a suite of integrations that are customized to your needs. 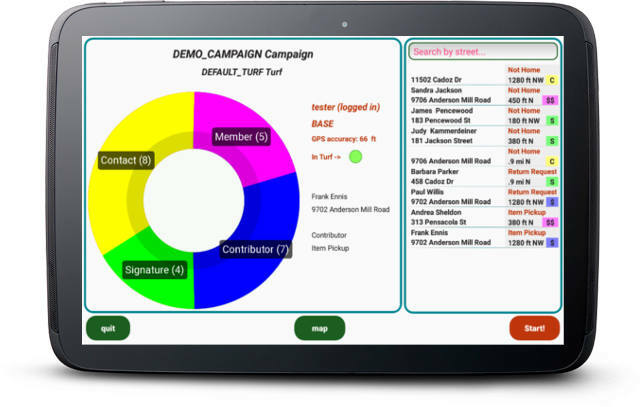 It allows canvassers to work more efficiently without wasted time and effort. 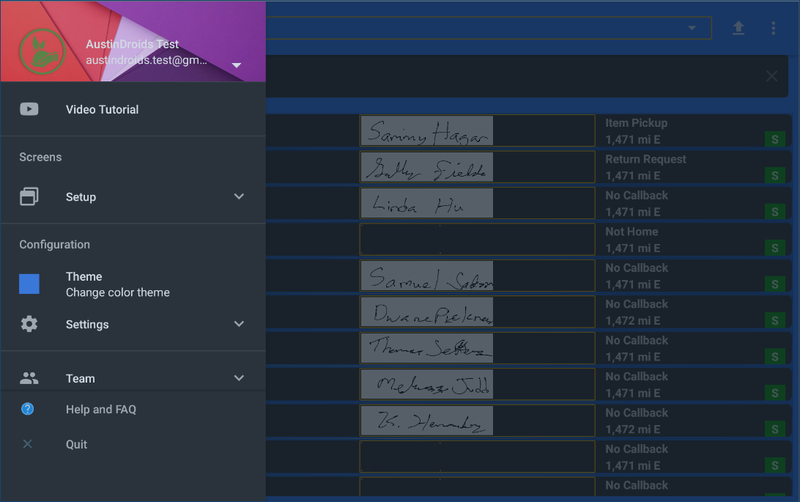 Our app can be customized by YOU, and collects data on door knocks, signups, flier views, and contributions, allowing you to do A/B testing, work on callback lists, and more! 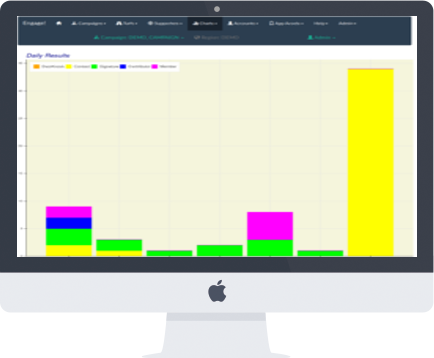 Our portal has an advanced analytics and GIS engine, which provides maps, graphs and reports on every aspect of your campaign. All our tablets include a tough rubberized cover and adjustable hand grip, for convenient one-hand use in field. Sun and Wind promote renewable energy through public awareness, research sponsorship and political action. They have "Donate!" button on their website and run a summer door-to-door canvassing program. However the canvassing, involving much manual labor, was not efficient. Engage! allowed S&W to automate their door-to-door events and focus resources in the most productive neighborhoods. This ended up saving them money and time while increasing their supporting contributions. Athena Code has a mission to increase the impact of women in technology, with initiatives in education, mentorship, and career services. However they found that their message was being lost in the noise, and were missing out on grants due to a small member base. With Engage!, Athena Code conducted a one-time door-to-door canvassing event. Using our platform, they were able to quadruple their membership base in two months. This had a snowball effect of gaining visibility in two local news outlets, and pushing their to the front of a crowded field. A neighborhood watch group wanted to notify their municipal district of an upcoming vote on new neighborhood construction. Engage! donated pro-bono usage of 5 tablets to streamline the operation and ensure that the entire neighborhood was notified and their voices heard. We choose our partners carefully because they help us solve our unique problems. They work with us on a consultation basis and we couldn't do it alone. Square is the number one mobile payment processor, and the Square card reader is well-known and trusted by the public. We work with the Square technical team to insure that new features such as off-line secure encrypted payments and debit cards are available on our platform. Securing devices from malicious users is increasingly important. That is why we've partnered with the experts - mobilock. They've spent years developing the most secure lockdown kiosk available. A lost tablet? Tampering? No problem. We can detect intrusions, track, and remotely wipe devices. Contact us! We will help you get there.